Clam sells a similar Fan/Light Combo for over $20 while Amazon has this generic version for just over $12. If you’re looking to add light while improving your heating efficiency in your shelter hurry over to Amazon and check out this Gold Box Deal. HURRY this deal ends tonight (2.4.19) at 11:45 (CST)! 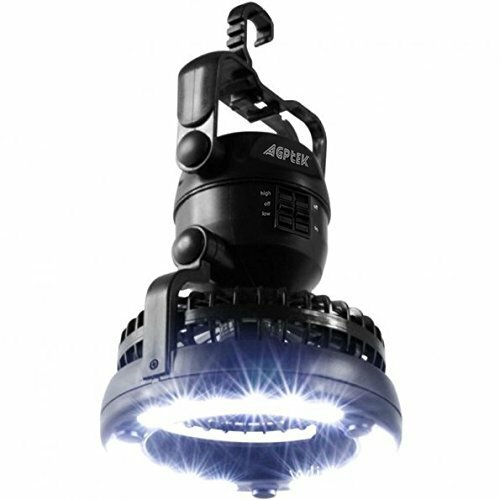 Posted on February 4, 2019 by IFDPosted in Accessories, All DealsTagged agptek, Amazon, fan, fan light, ice shelter fan, ice shelter light, ice shelter lighting, lantern, LED, led light, light, light and fan combo, light fan, light fan combo, shelter light, shelter lights.